Mr Barr disclose all of it nothing less will cause divison we have had enough of that!! There may be parts of the report that cannot be disclosed for operational or security reasons but I, like most people, want as much as possible released. Release of the report will not end the divisiveness in America, the antagonistic way is here to stay. Barr will decide what to release and to whom. He will also decide what SDNY does, as they take orders from him. 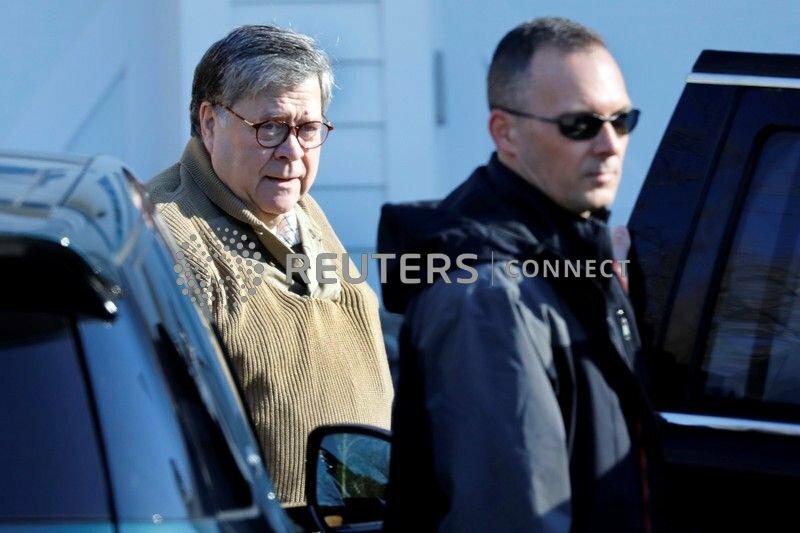 At this point, Barr is calling all the shots. especially because certain circles will not accept the conclusion of no collusion (I love rhyming). This, stated by the cabal of people that were convinced since day one that he's guilty regardless of the facts to feed their ridiculous bias. Then blame those who disagree with their biased views as being divisive. Do you agree the report should be released in its entirety to the public? Sort of like screaming about rascism whilst taking selfies with Farrakhan or screeching about dark money whilst using it yourself. The thing that got me in this whole fiasco from the get go was the naked and brazen hypocrisy behind it. The chickens are finally going to come home to roost. In the wise words of the illustrious Bill Maher - I don't need a report to tell me he is guilty, I have a TV. Well, if you only watch and believe the rantings of CNN and MSNBC then of course you believe the negative only. This might also apply to some of our favourite TVF posters too.